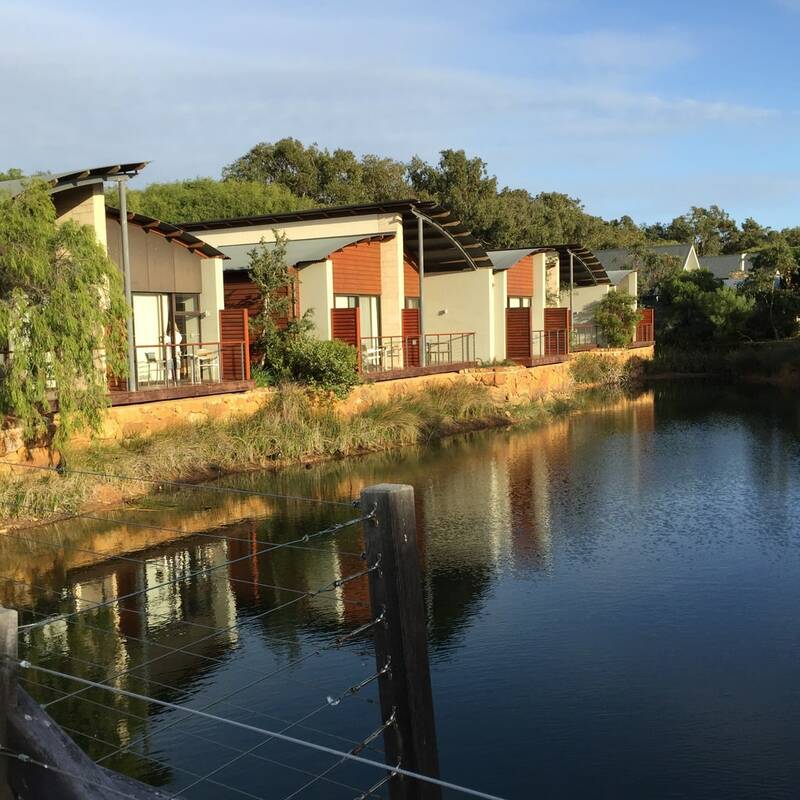 If you are planning a trip to the Margaret River Wine Region you should book the right accommodation. And by right, I mean the one that is most convenient for the type of trip you are looking to enjoy. In our case, we were going to visit several wineries and going out for dinner, all day on the road jumping from appointment to appointment. On Google Maps, it seemed that destinations were very close to each other, but we did not account for two main things: kangaroo crossings and secondary countryside roads. Admittedly, Google Maps had warned me that some distances would take almost an hour, even if it was only 40km. I just didn’t want to listen. We did our research and the Pullman Resort Bunker Bay looked beautiful and a beautiful beach location in the middle of the national park. A friend also confirmed it was a good choice. So we went ahead. 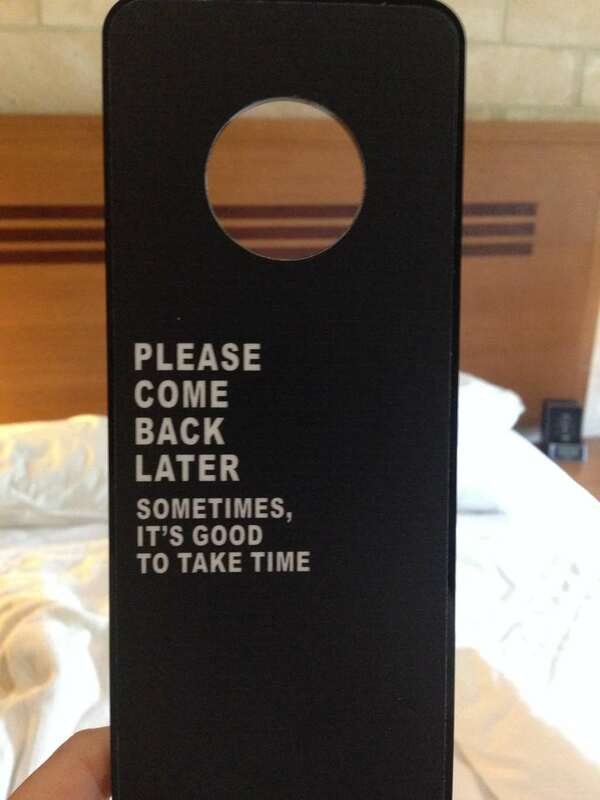 How did the resort fair against our expectations and our demands? It was past bedtime and we were exhausted and freaked out by a recent encounter with a kangaroo. Although we had been warned against the danger of wildlife crossings several times by pretty much everyone we did not quite understand what it meant until an extra large animal came out of nowhere and jumped in front of our eyes a few meters ahead. “Kangarooooooo!! !”, I yelled in a breathless gust. Marisa hit the breaks and we came to a halt. The lovely lady at the B&B that same morning had told us not to swerve and simply slow down. I thanked her for that piece of wisdom. Our hearts pounding and clearly looking distressed we carried on. At 30km per hour. It took forever to get back to the hotel, on the Cape Naturaliste, at the end of a park road in pitch dark. Once we made it into the resort’s grounds, not without passing by a kangaroo that had had a worse fate than ours, we were met with a large parking lot where we left our car and proceeded to the reception. The entrance through glass doors did not do justice to the views at the end of the lobby area. It was late, we were still shaking and we were up since 7am driving all day so all we wanted to do was crash. Or so did I. Marisa wanted another glass of wine at the bar to calm down her nerves. Check in was smooth, I bet the ladies were laughing at our scared kangaroo faces. We were given a map of the resort with our room was marked on it. We headed out into the parking lot again to find our room which was pretty near. The hotel is large and spread out so I presume that should we have booked one of the farther away rooms, they would have fetched us on a buggy. Our room was the entry level one. It was large, very spacious and with all the amenities of an apartment. We had a double king size bed, a separate bathroom and a living room area with a kitchen. There were all the utensils and kitchen-ware that you could think of and a small table to eat. The room led outside onto the forest but the bushes and trees were right outside the door and hence the views hit a wall made of a mesh of tree branches. I am almost certain that our room was one of their accessible ones with larger than usual showers and toilets. The bed was comfortable and, should we have come with the intention of cooking and enjoying evenings in, it would have been a great place to retire to when the sun sets. And the sun sets very early in this part of Australia where daylight savings don’t apply. There was also a desk for working and a significant amount of space everywhere. I reckon the room was larger than most studio apartments in Singapore. What was strange is that it did not have proper heating. Despite this part of Australia does get pretty cold in the winter we did not seem to be able to work the AC to produce hot air. Perhaps they had to turn on the feature centrally. We requested an extra pair of blankets to put over our beds. The hotel provides a mini-bar card to fill in your needs and they replenish your fridge accordingly. Whatever you order will be charged so you can take it away. And in case you are feeling extra lazy or exhausted of the driving, there is a room service menu, but it is not available 24h. The sprawling gardens and village-like setting provide an air of peace. You don’t hear neighbors or any noise and you can fully relax as if you were in your countryside home. Some of the rooms have sea views and others open onto a lake, close to the beach. There are bushes, flowers and trees everywhere and even entire schools of pink parrots. 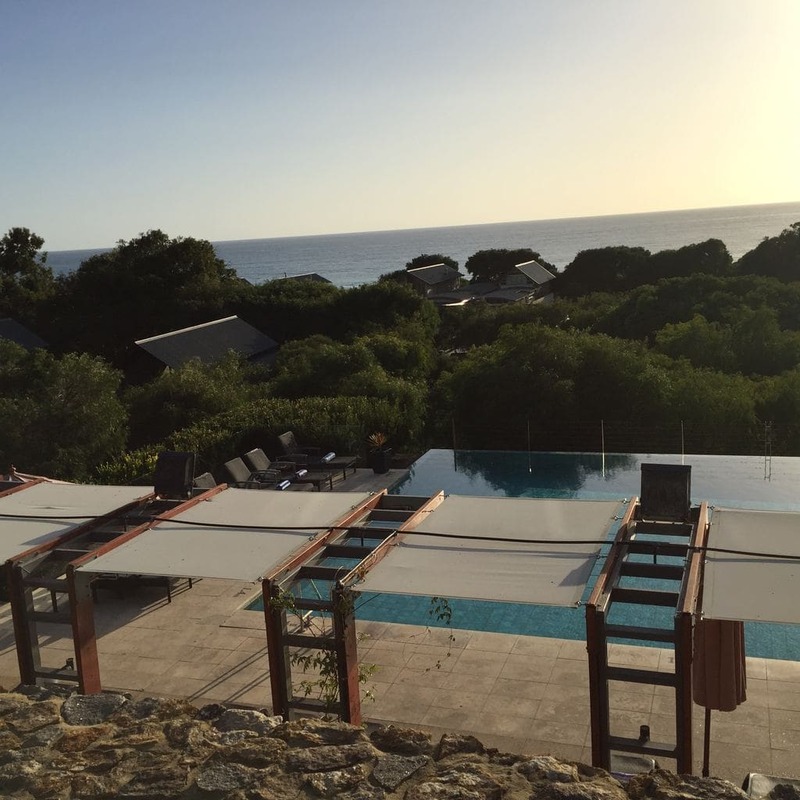 If you walk down from the hilltop location of the hotel towards the sea you will hit Bunker Bay Beach and a walk away from the hotel’s path will take you to a nice cafe, Bunker Bay Cafe where to enjoy a coffee and breakfast on their outdoor terrace. The hotel has a lobby bar, a restaurant and a swimming pool with sweeping views over the property and the sea. The pool certainly is a nice area to get away from it all. For those looking for a more active holiday there is also a gym and tennis courts. There is no doubt that the hotel is pretty and provides all the necessary elements for a relaxing and family vacation. As a couple, you can cuddle on your sofa or cook a meal together. The facilities are great and the lobby bar has a nice view over the pool and the sea. The only downside of the Pullman Resort Bunker Bay is its location. And that is also one of its upsides. Because it is by the beach, in the middle of the national park, it is isolated and far from Margaret River. If you are coming to visit the wineries you will be better off staying at one of the resorts or hotels nearer to town so that you avoid the daily 1h commute, journey which is made extra dangerous my the death-wishing kangaroos. 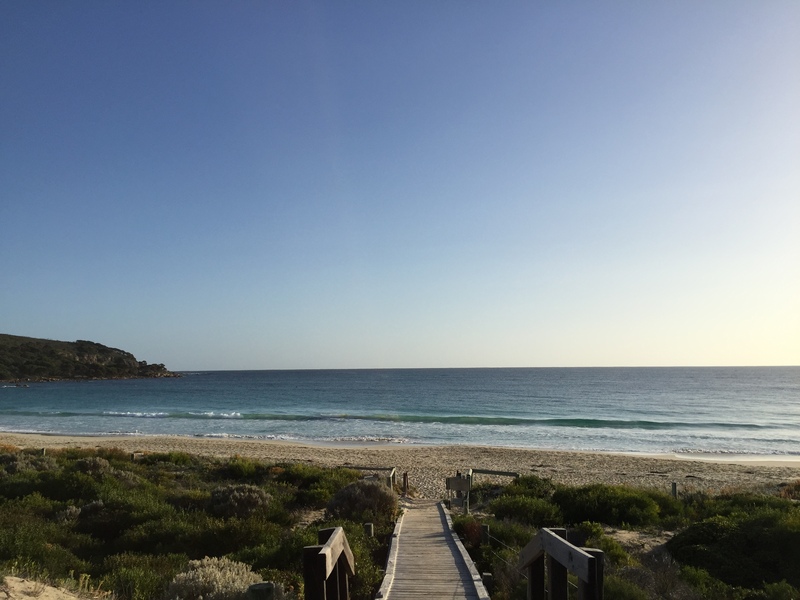 Or extend your visit, so you get to enjoy the beach, the pool and the location while also making some trips down to Margaret River and surroundings.